If you’re as curious (or nosy) as me, you’re going to love today video. It’s a Q&A where I answer some questions about my background, univeristy, my accent and more. So make sure to check it out here! I love Q&A videos! Can’t wait to watch! 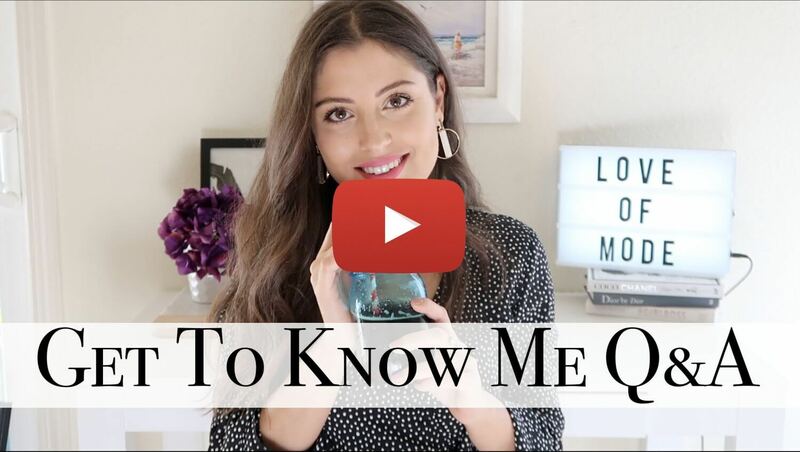 I’m always such a big fan of Q&A videos because they reveal so much about the blogger! 🙂 Thanks so much for sharing hun! This is a fantastic video Tamara! I am so jealous of all your travels. Can’t wait to see the pics you share. Have a fantastic weekend pretty lady! Thanks for sharing! I love Q&A’s! Have a great day Jennifer! Can’t wait to watch this, girl! Thank you Carmen, I’m glad you liked it. Have a fab week as well!